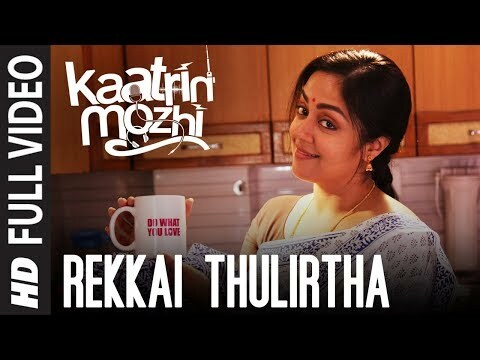 Kaatrin Mozhi is a movie directed by Radha Mohan	featuring Jyotika Sadana, Vidharth. Filmmaker Radha Mohan opens up about his brand of cinema, how Kaatrin Mozhi fell in place, and what it was like to work with Jyotika again after so many years. Directed by Radha Mohan and produced by G Dhananjayan, the film marks the reunion of the director and Jyotika after a decade since Mozhi (2007). The date also marks the birthday of the film's lead actress Jyotika Sadana.